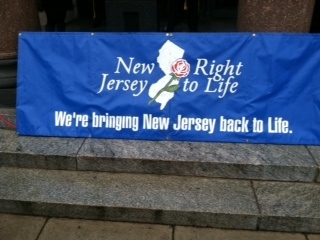 On Monday January 23rd I attended the NJ Right to Life Mass at St Mary’s Cathedral in Trenton and the rally for life at the State House. Almost 700 people were at the rally. Speakers from Assemblyman, State Senators, congressional aides, preachers, priests, activists, students and an adoptive mother and child addressed the crowd. I was proud to represent the AOH and our NJ Right to Life Chairman Jack Cronen, who is recuperating from a recent surgery. In the very near future I will be asking all members of the AOH in NJ to contact their NJ elected officials in the assembly and senate and ask that they support a bill that would require that at least one parent of a minor would be contacted if a minor was considering an abortion. In NJ minors must have parental approval to do any of the following: go to a tanning salon, get a tattoo or body piercing, purchase certain over the counter cold medication. Unbelievably that same female minor can have an abortion no questions asked. We need to stop this madness and protect life.